Simple A line wrap skirt, originally uploaded by indiaeden. 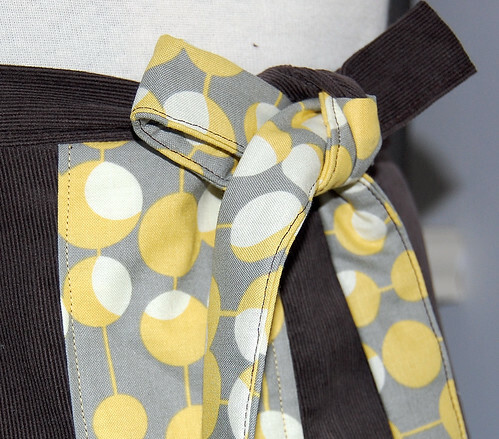 I got a little sewing done this afternoon, nothing fancy just a quick and easy wrap skirt in some soft needlecord and with an accent print. I wanted to add some ric rac to this,but I only had orange or red...must buy more ric rac. 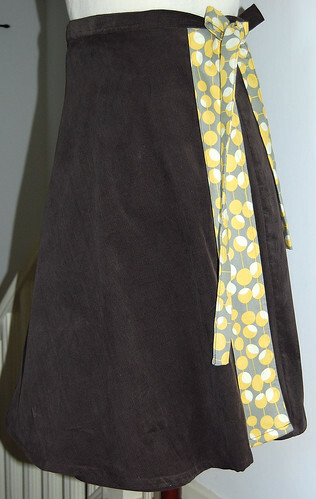 Not my best work,but it's a winter skirt to add to my wardrobe,and it should go nicely with my yellow shoes. Really should've made the effort to change thread for the ties though.